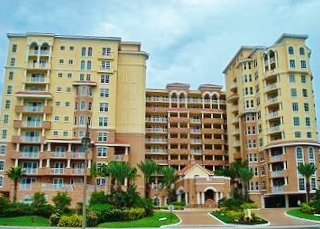 The Bella Vista Condominium is one of the most prestigious luxury oceanfront complexes in Daytona Beach Shores. This 11 story, 100 unit development was built in 2007, and is a part of the Costa Bella Collection by Cook Development. You will be totally impressed with the views of the ocean from the expansive balconies, the grand entrance lobby, and the spectacular sundeck complete with an oceanfront heated pool and spa. Monthly Rental Is Furnished. Long Term Rental Can Be Unfurnished. There are a number of fun-filled attractions within a short distance from Bella Vista Condominiums. Port Orange golf courses such as LPGA are close by. If you're more of a mini-golf player, there's also a great course within walking distance. Other nearby highlights include the Volusia Mall, Daytona Beach International Speedway and Daytona Beach Kennel Club and Poker Room. Bella Vista Condos are the height of luxury with high-end finishes and amenities to make you feel pampered 24/7. The entire complex is styled with stunning Spanish Mediterranean architecture, and each unit enjoys 9 ft. ceilings, gourmet kitchens with granite countertops, and jetted tubs.